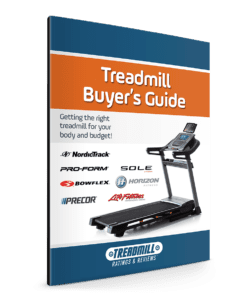 The Sole TT9 Treadmill is On Sale! This newest model in the Sole Fitness lineup is designed with longevity, power and comfort. The TT9 offers the widest variety of both new and updated features seen in any Sole model to date. Yup.. it’s a good one. It does come with a modest price increase so let’s take a look at the features and figure out if it’s worth the price for your own home gym. Since this model is designed for both in-home and light commercial use, you know it is built to put in the miles. 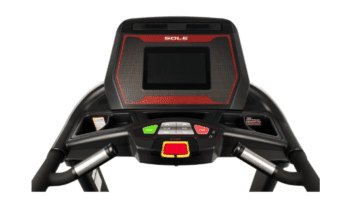 The combination of high quality construction and comfort features, like the new 10” touchscreen, put the Sole TT9 a step above the rest of the Sole models like its close cousin the Sole TT8 treadmill. The Sole TT9 is priced at $3,499 with free shipping. 10” Touchscreen – The Sole TT9 is the first treadmill in the series that offers a touchscreen. Along with a built-in web browser, this allows you to watch your favorite shows or keep up with your emails without juggling extra devices during your workout. Or you can very clearly and easily focus on your workout stats as you log your miles. Bluetooth Capable – Keep track of your goals and progress by using the Bluetooth capability on the Sole TT9 to wirelessly export all of your workout data to the free Sole app, or any other compatible fitness app you use. We really like that the Sole app works with so many fitness apps that you are already using…Apple Health, Fitbit, Record, and MapMyRun to name a few. 4.0 Continuous Power AC Motor – This heavy-duty motor will provide all the power you need for a smooth workout, whether you’re doing long distance, sprints or high-intensity intervals. The only Sole model to use AC (alternating current), this treadmill delivers super quiet operation, making it perfect for home use. AC motors are also more durable and last longer, with less maintenance than their DC (direct current) counterparts. 3” Crowned Rollers – As we have discussed with other models, larger rollers are simply better. They mean fewer rotations, which puts less stress on the machine and reduces wear and tear. This keeps your treadmill running longer with less maintenance. At 3”, the rollers on the Sole TT9 are some of the largest that you will find. 22” x 60” Running Surface – This spacious running surface allows room for even the tallest of runners among us. The wider surface will also keep you from feeling cramped or boxed in during your workout. Multi-Ply Belt – The Sole TT9 offers the thickest belt to date from Sole. The four layer belt consists of two rubber layers surrounding a layer of PVC with nylon backing. This combination increases durability, provides a smooth running surface and keeps the belt from over-stretching. The belt is also permeated with lubricant so there’s less maintenance for you. Reversible Cushion Flex Whisper Deck – The commercial grade deck on the Sole TT9 is uniquely designed to flex. Compared to outdoor running, this can reduce impact on your joints by up to 40%. With long-term use in mind, the waxed deck keeps the belt running smoothly and is reversible for extended use. Incline and Decline – Bring your outdoor workout indoors with the Sole TT9. 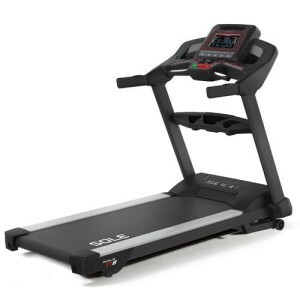 The 15% incline and 6% decline features allow for a more natural feel when you are running. This also means that you can work a larger variety of muscle groups for a more comprehensive workout. At 397 lbs the Sole TT9 is the heaviest Sole model by far. And that’s saying something because Sole machines are HEFTY. This means it will provide an extremely stable running surface and can also handle a user weight of up to 450 lbs. Warranty – Lifetime frame, 5 year deck and motor, 3 year electronics and 1 year labor. 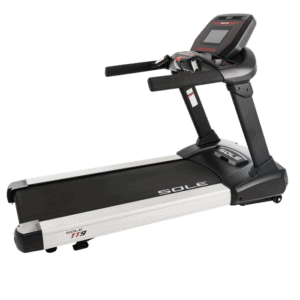 The Sole TT9 offers the quality construction and ease of use that we have come to expect from Sole treadmills. You will notice that the price tag on this one is going to be a bit higher than the other models that Sole has on offer, but they have really upped their game with the Sole TT9. This is the only Sole model to offer the touchscreen display with a built-in web browser. This is also the heaviest, most durable Sole treadmill. Not only is it going to be an extremely steady running surface, it can accommodate users up to 450 lb. Even with larger users in mind, the Sole TT9 is designed to keep owner maintenance to a minimum. This allows you to focus on the work you are doing on yourself, without worrying about doing maintenance work on the machine. The Sole TT9 doesn’t offer folding capability which, combined with the larger footprint, may be something to consider if you are looking to conserve space in your home. However, the AC motor and Whisper Deck make it very quiet if you are in a shared living space, or like to exercise while others are sleeping. 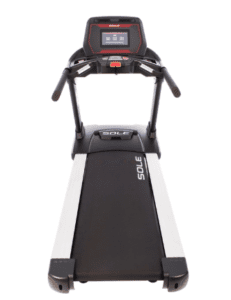 Compared to other commercial use machines, which can cost upwards of $5,000, the Sole Sole TT9 still offers a great deal if you are looking to invest in your home gym. If you aren’t looking to spend quite as much on your home equipment, the Sole TT8 is a tried-and-true option that offers many similar features and costs about $1,000 less. All in all, if you are looking for an exceptional commercial quality workout in the comfort of your own home, the SoleTT9 has you covered. If you like the heavy duty machine and the touchscreen, then buy this one. If you’d prefer keeping $1000 or more in your pocket, then go with the Sole TT-8 or even the top-rated Sole F-85. Go to www.SoleTreadmills.com further details. I love my treadmill. I burn calories off and look great, feel great and I even sleep better at night and my stress and depression is going away. I don’t even take medication anymore for two months now for my depression. The treadmill has been my biggest answer not only to fitness, but health mentally and physically. You can’t go wrong with a treadmill…it’s your life that gets better without meds in my case.